Shake the rattle that your momma gave you! 1. 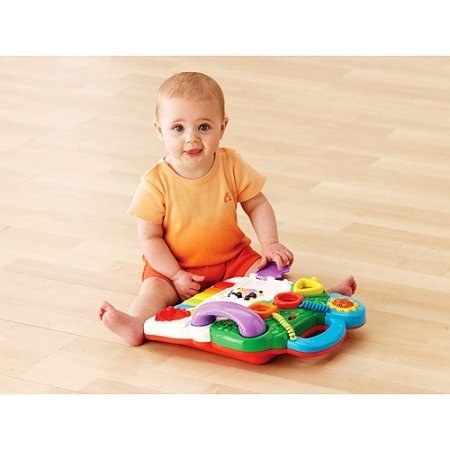 A classical music toy that will keep babies entertained without driving parents nuts. Get it at Walmart for $7.74. 2. Stacking cups: so simple, yet so compelling. Get them at Walmart for $1.81. 3. A splurge-worthy activity center that will occupy kids for years. Get it on Amazon or at Walmart for $111.03. 4. A teething rattle for babies to grab, shake, and chew endlessly. Get it on Amazon for $10.69. 5. A kid-sized cleaning supply set will captivate toddlers (even as it puts them to work). Get it at Walmart for $26.99. 6. Big blocks that will occupy little builders for hours. Get them at Walmart for $14.99. 7. An activity mat that easily transitions to a nap surface. Get it at Walmart for $18.99. 8. A portable activity center that can provide a distraction even from the nightmare of air travel. Promising review: "This is the only 'toy' that my eight-month-old likes to play with (otherwise she prefers boxes, bags, and other non-toys). 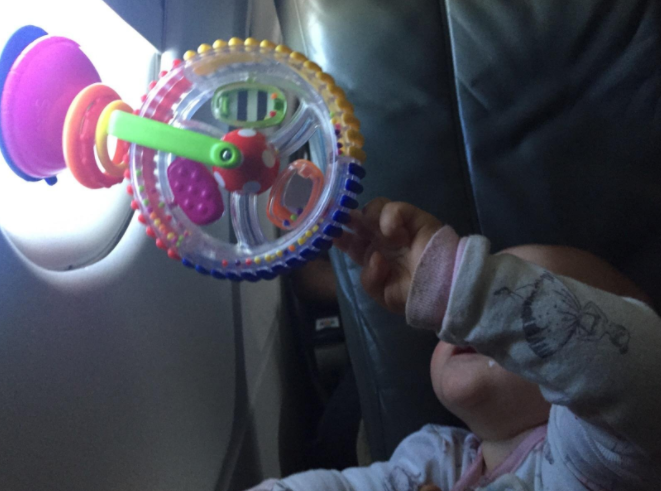 This toy was a great distraction on a 14-hour plane ride. I was able to stick it on the fold down tray, but even more exciting was when I stuck it on the airplane window. 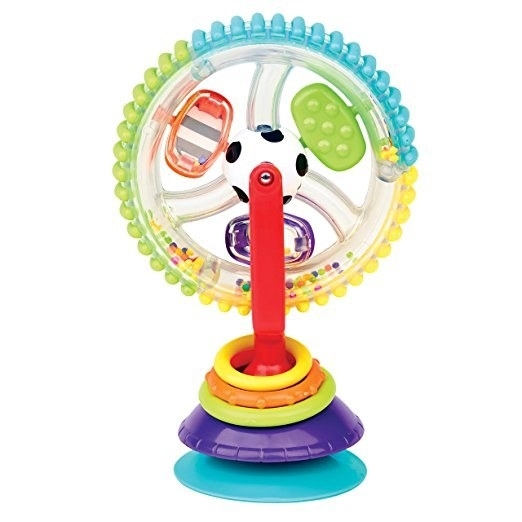 The wheel spins fast and freely and the beads inside make a fun tinkering sound." —Summer H.
Get it on Amazon for $5.59. 9. A bouncer for when you need to tire out your baby, not yourself. Get it at Walmart for $67.99. 10. An activity cube that's part educational toy, part baby rave. Get it at Walmart for $16.66. 11. A very busy firefly that will create a diversion wherever it goes. Get it on Amazon for $9.59. 12. A Play Doh kit that's so simple, yet so mesmerizing. Get it at Walmart for $10.47. 13. A dancing robot, to serve as your kid's personal hype man. Get it at Walmart for $30.40. 14. A musical dump truck, for hauling rocks and rocking out. Get it on Amazon or at Walmart for $13.88. 15. A wooden shape-sorting cube that improves dexterity and maybe also drumming skills. 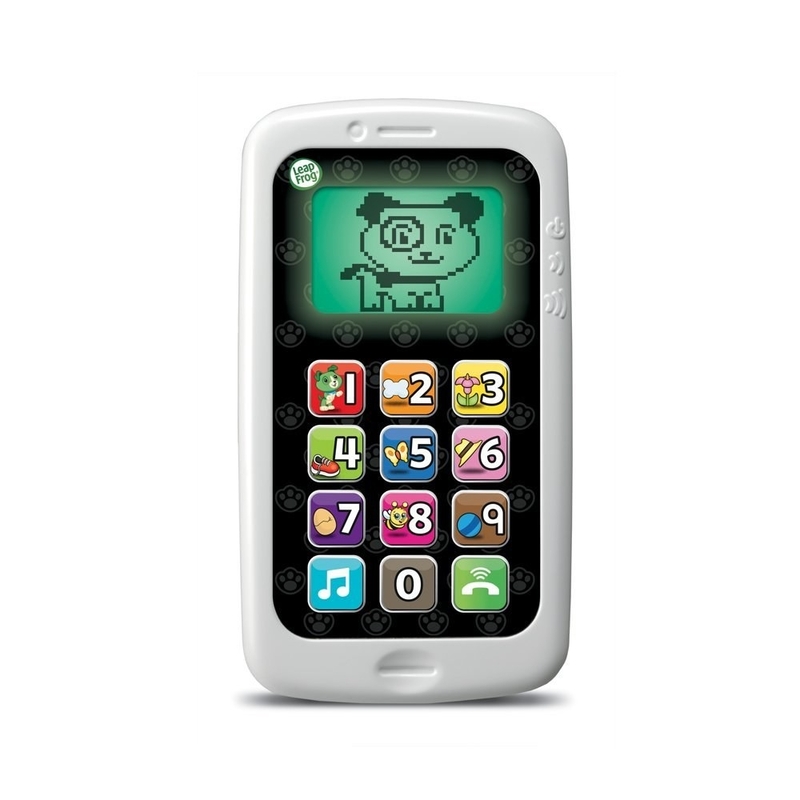 Promising review: "Quite possibly my daughter's favorite toy! It's great for colors, shapes, counting, stacking, and teething! She uses the box like a drum quite a bit, too. She's gotten hours of entertainment and learning out of this toy." —Sara H.
16. 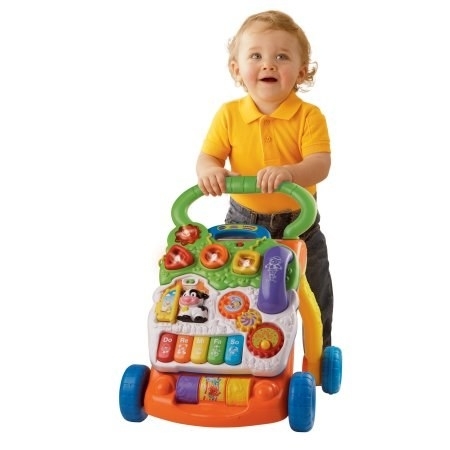 A tireless activity center/walker that helps develop both fine and gross motor skills. Get it at Walmart for $28.73. 17. Squeaky, squeezable blocks perfect for building, chewing, and low-impact throwing. Get them on Amazon for $13.99. 18. 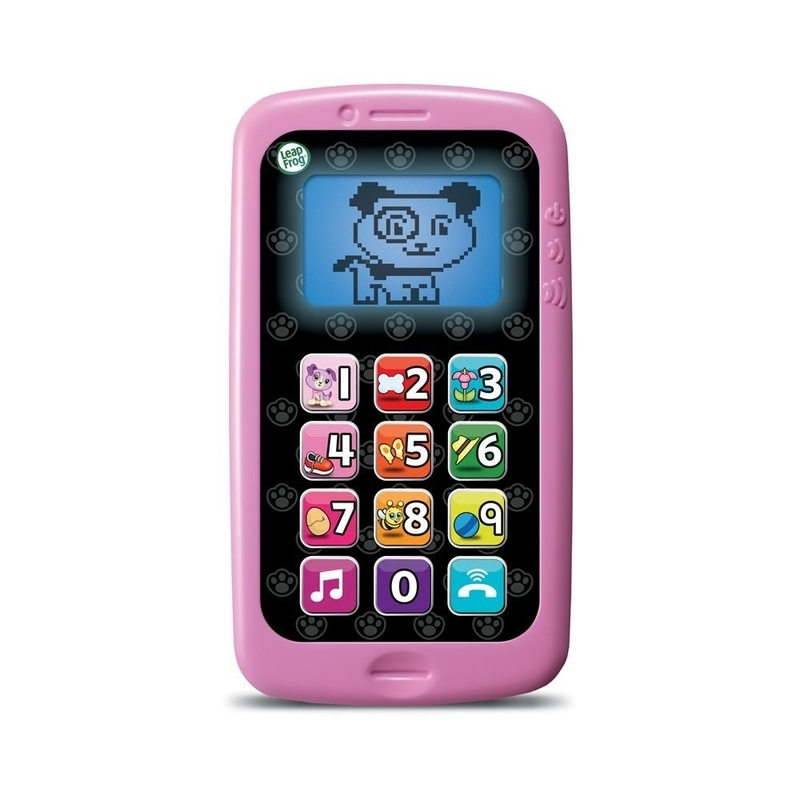 A "smartphone" just for them (so they don't swipe yours). Get it at Jet in white or violet for $12.88. 19. A sensory giraffe that you can hang from strollers and carriers for mobile entertainment. Get it at Walmart for $7.98. Note: Reviews have been edited for length and/or clarity.